Owner says sell! 1003' of road frontage. Located on corner of US Hwy 378 & Wise Ferry Road. Traffic signal at intersection. 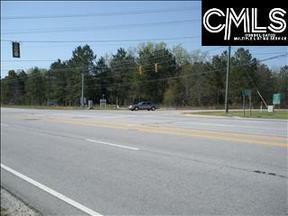 Excellent location for commercial development (shopping center, pharmacy, business park, food store, etc.). Only one block from elementary school & direct route into Lexington. Another new elementary school under construction two miles west on Hwy 378. One half mile east of new Publix Center. Excellent visibility from roads with high traffic count and great residential support.